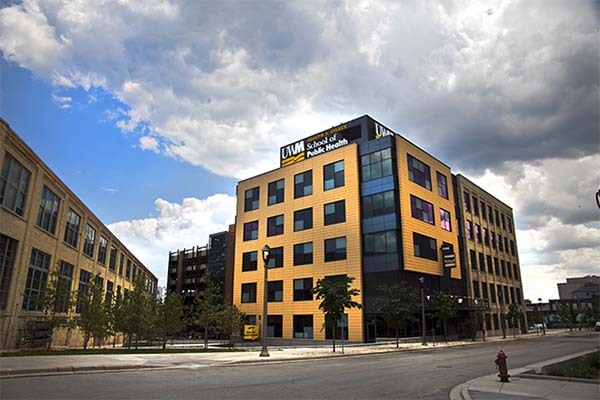 MILWAUKEE _ Wisconsin’s only accredited, dedicated public health school, the Joseph J. Zilber School of Public Health at UW-Milwaukee, will offer its first undergraduate degree in public health beginning in Spring 2019. The University of Wisconsin System Board of Regents approved the university’s proposal for a bachelor’s program in public health on Friday, June 8, during its meeting at UWM. This will be the first bachelor’s degree offered at the school, which also offers four graduate programs. The new bachelor’s program will help meet the region’s and nation’s increasing demand for a diverse pool of public health professionals and further demonstrates the Zilber School’s founding commitment to reducing health disparities in southeastern Wisconsin. According to 2017 county health rankings published by the University of Wisconsin Population Health Institute, Milwaukee County ranks 71 out of 72 counties in Wisconsin for health outcomes (e.g., quality of life) and 64 out of 72 counties for physical environment (e.g. air pollution and housing problems). Ron Perez serves as interim dean of the Zilber School, which was founded in 2009 and became the state’s only school accredited by the Council on Education for Public Health in 2017. “Expanding public-health courses, research opportunities and internship connections to more students means the Zilber School will be even more effective in pursuing our mission of advancing population health, health equity and social and environmental justice,” Perez said. Nationally, the Bureau of Labor Statistics has projected faster than average growth from 2016-2026 in numerous job categories relevant to public health graduates, including health educators and community health workers, environmental scientists and specialists, social and community service managers and statisticians. Nearly 40 percent of Wisconsin’s public health workforce is expected to retire by 2020. The Zilber School currently has 25 full-time faculty across several major public health areas (biostatistics, community and behavioral health promotion, environmental health, epidemiology, and public health policy and administration). The Bachelor of Science in Public Health will require 120 credits, including at least 39 credits of general education and foundation courses, 54 public health major credits, and 27 elective credits tailored to each student’s interests and career goals. Three public and three private universities in the state offer bachelor’s degrees in public health. The Zilber School’s program is unique in Wisconsin as the only program offered by a CEPH-certified school that also holds the highest ranking for university research activity from the Carnegie Classification of Institutions of Higher Education. Its location in the state’s population center also provides students with professional connections to a vast network of community partners seeking interns, part-time and entry-level employees. Zilber School faculty members have made important contributions to urban public health, from creating programs that combat high infant mortality rates to deployment of buoys in Lake Michigan that allow the City of Milwaukee Health Department to close beaches immediately when unhealthy conditions arise. The National Institutes of Health is currently supporting Zilber-faculty research that will improve the treatment of breast cancer in women of color. Wisconsin’s only accredited school dedicated to public health, the Joseph J. Zilber School of Public Health advances population health, health equity, and social and environmental justice among diverse communities in Milwaukee, Wisconsin and beyond through education, research, community engagement, and advocacy for health-promoting policies and strategies. Since its founding in 2009, Zilber School faculty have attracted more than $10 million in grants that cover critical research into issues like autism, infant mortality, nutrition, breast cancer, water health and more..